ServiceMaster Building Maintenance believes that green is not an option but an essential way of doing business. You can rest easy knowing our green cleaning services and products are safe for the environment and good for your business. 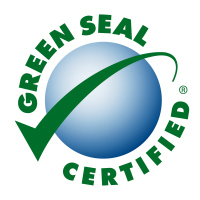 As the eighth Green Seal Certified, green cleaning service provider in the country and the only GS-42 Certified Wisconsin cleaning company, our products, processes, and systems have been independently proven to reduce impact on the environment while still fulfilling our commitment to service excellence. The ServiceMaster Clean Green Cleaning system is two-fold. We utilize a new, independently certified line of products that contain no Volatile Organic Compounds (VOCs) and are detergent free. These products have been proven to be as effective for general cleaning and maintenance as standard cleaning products. Also, they greatly reduce the impact on the environment and improve the health and wellness of the individuals in client facilities. These products are low odor, which improve indoor air quality and are especially beneficial to facilities that may have staff members with sensitivities to odors. Additionally, ServiceMaster Clean utilizes a patent-pending Capture & Removal Cleaning® system of cleaning to improve indoor air quality and cleaning ease through the use of an effective, ergonomically friendly “Sidewinder” wand, HEPA filtration, and a dust wand to physically remove dust particulates from surfaces into the vacuum cleaner. Contrary to common methods of dusting where particulates are stirred up with a duster or similar tool and later resettle on another surface, the wand “Captures and Removes” dust from the facility. Capture & Removal Cleaning® has been proven to decrease airborne particulates by more than 50% after being used in a facility for two weeks. Contact ServiceMaster Building Maintenance to see how green cleaning can benefit your company.